The Full Moon in Virgo on March 1 is full of inspirational force, imaginal vision and emotional tidal waves. The Sun, Neptune, Mercury, Venus, and Chiron are all lined up in Pisces opposite the Moon in Virgo, with the lunation’s intensity deepened by a harmonious aspect with Jupiter in Scorpio and catalyzed with explosive vitality by an amplified Mars in Sagittarius. Ideally during the period of fully reflected light one can situate themselves in a place of stimulating learning or creativity where the dynamic force of the Full Moon can be transmitted into tactile manifestation or revelatory reception. The potential conflict from Mars comes from dogmatic ideals and subjective projections within an atmosphere making the dry discernment of Virgo challenging. Mercury rules the Full Moon as it applies to a union with Venus in Pisces and so we experience the Moon in Virgo under the sway of poetic richness, emotional reception, and the intuitive knowing of feelings within the body. There is simply something sublime about the Moon in Virgo ripening full in reflection of light cast by the Sun uniting with Neptune in Pisces. In Virgo we can sense the spirit in our flesh and the soul of the earth around us like nowhere else in the zodiac. Virgo can both discern and analyze insight from difficult or confusing experiences, as well as weave together meaning into tangible forms of shared understanding. Attaining calm presence in the moment amidst the tumult of ceaseless change is key to optimize the grounded, pragmatic wisdom available in the sign of the Winged Maiden. The overflowing Piscean influence on the surrounding time period of the lunation makes it easier than normal to fall into illusory pursuits or projections, yet the combined earthiness of the Virgo Full Moon in harmonious relationship with Saturn in Capricorn brings the potential to make the magic of Pisces real, true, and embodied. The Virgo Full Moon is ruled by Mercury in Pisces applying to conjoin Venus and Chiron in Pisces, as well as applying to a stabilizing trine with Jupiter in Scorpio. 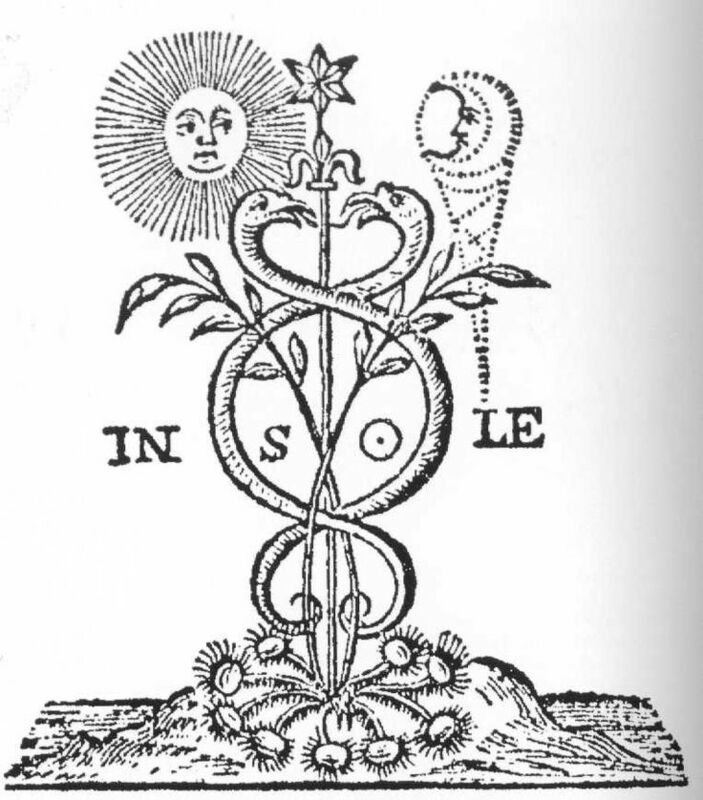 Mercury resides in Pisces in polarity to both its home and exaltation in Virgo, yet since it is being received by Jupiter it has the resources of Jupiter fully loaded in its tool kit. Combine the fact Mercury is simultaneously uniting with Venus in its place of exaltation, and we have a deeply visionary and imaginative Mercury that can grasp understanding of one’s larger emotional environment as well as perceive creative solutions. Flashes of intuitive, direct knowing may be received and the inward earthiness of the Moon in Virgo can facilitate processing perceptions in order to receive a harvest of important insight. The men purify themselves; the women cleanse themselves. The ox in his yoke lows to her. The sheep stir up the dust in their fold. My Lady makes them all hurry to their sleeping places. 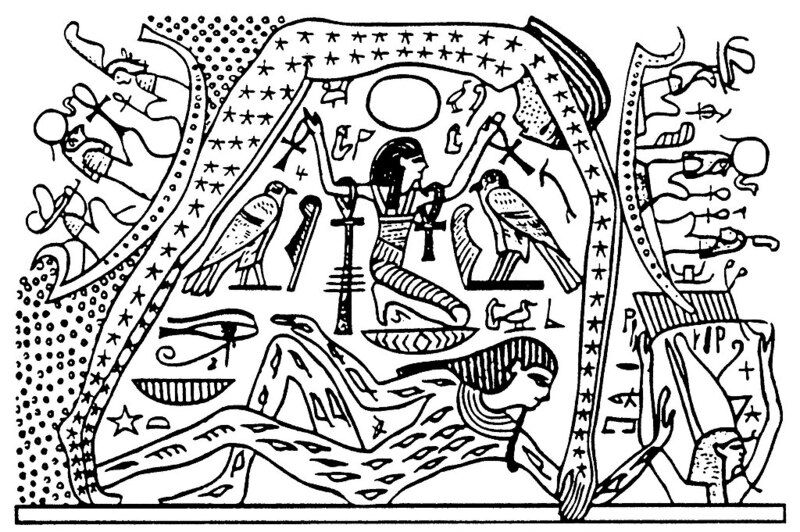 The living creatures and the numerous people of Sumer kneel before her. Those chosen by the old women prepare great platters of food and drink for her. The young man makes love with his beloved. Inanna, the Lady of the Evening, is radiant. The Lady of the Evening is radiant on the horizon. Fascinatingly, due to Mercury slowing down and then stationing retrograde in Aries on March 22, Venus and Mercury will remain in range of a close conjunction all the way through the waning half of the forthcoming lunar cycle, so that on the following Pisces New Moon on March 17 they will still have only one degree of separation between them in Aries. This is an unusually long time to live with Venus and Mercury transiting in such close proximity to one another and so brings an opportunity to find greater alignment between inner values and outer expression and communication. There will be a notable shift on March 6 when both Mercury and Venus will move into Aries, bringing potential to take the inner illumination received from their time together in Pisces into direct, courageous action in the world. While Venus and Mercury are uniting at the end of Pisces they are also taken into a deeper dimension of perception by their additional conjunction with Chiron in Pisces. Chiron is a celestial centaur who bridges the divide between Saturn and Uranus, the key holder who brings access to vital subconscious information. Since Mars in Sagittarius is also approaching a challenging square aspect with Chiron, there is a collective trigger that reflects the gaping, aching wounds of trauma and oppression felt throughout the collective, injuries often brought about through violence and conflict connected to dogmatic paradigms of belief. During the days following the Full Moon there is potential to journey within to both face and dissolve old wounds that are ready to be dislodged. However, some wounds may still feel more painful than fully engaged in healing and if this is the case the over abundance of planets in Pisces can allow for a flow of emotive release. One of the biggest factors in the Virgo Full Moon, however, is Jupiter in Scorpio not only forming a trine to Mercury, Venus and Chiron, but also beginning to station retrograde. Jupiter in Scorpio will station retrograde a week after the lunation on March 8 and is barely moving at the time of the Full Moon, bringing its archetype into a stronger presence within the collective. Whenever a planet stations its archetype saturates the landscape, so prepare for lessons involving Jupiter in Scorpio to become abundantly clear. We have passed through a season of eclipses that formed a square to Jupiter in Scorpio, and so we are primed to receive direct knowing from the accumulation of recent experiences. Although Jupiter and Mars are not in a major aspect, they are mutually exchanging signs with Jupiter in the home of Mars and Mars in the home of Jupiter. With regard to the additional interplay between Mars and all of the action in Pisces that Jupiter also rules, Jupiter in Scorpio can help us shed attachments to old illusions of belief and ready us for a new influx of understanding. Once Jupiter turns retrograde in the first week of March, it will move backwards through our zodiac until stationing direct again on July 10 at 13º20′ of Scorpio. While Mercury and Venus are separating from a square with Mars in Sagittarius, Mars is applying to a trine with Eris and Uranus in Aries. When we also factor in Mars being conjoined with the asteroid Vesta at the Full Moon, there is potential to utilize the fiery volatility of Mars in Sagittarius to not only explore exciting frontiers but also utilize the focus necessary to bring something worthwhile back to share with the wider collective. Aspects between planets are multivalent in expression, and so while there is potential destructive conflict signified by the aspects Mars is making at the Full Moon, this same energy of Mars can correspond with separating yourself from previous limitations or oppressive circumstances and making visionary strides forward. Mars in Sagittarius is fast moving and curious with ample stores of generosity and optimistic hope available to fuel striving for greater freedom and making real progress toward idealistic pursuits. In addition to all of the watery and fiery dynamics previously mentioned, there is also a lot of the grounded earth element involved in the Full Moon. As the Moon waxes full in Virgo it will form a trine with Saturn in Capricorn, and then following its opposition with the Sun the Moon will move toward a trine with Pluto in Capricorn. When we also consider the placement of the asteroid Pallas Athene in the middle of Taurus, there is a stable earth triangle formed that also involves harmonious sextile aspects between Saturn with the Sun and Neptune in Pisces. As a result, there is potential to find surrounding structures to stabilize and ground the insight available in correspondence with the lunation into tangible manifestation. It also highlights the availability of outlets for grounding or compassionate support if the emotional waves of the abundant Pisces influence becomes overwhelming. The Full Moon in Virgo arises in the second decan of Virgo associated with the Nine of Pentacles card illustrated above by Pamela Colman Smith. The image is resplendent with a golden aura surrounding a Venusian figure, and fittingly Venus is the ruler of the second face of Virgo. On her hand sits a bird of prey ready to strike out for resources, while ripening grapevines surround her. This tarot card is traditionally associated with gains in wealth, and Austin Coppock in his book on the decans 36 Faces analyzed how the hooded falcon (a symbol of spirit enclosed in matter) is a protector of the grapevine resources linked to her wealth since it feeds on the creatures who would damage the growth of the grapes. Coppock found a theme of continual reshaping and refinement of matter in this decan that unveils the diverse extremes of experiences that unite within the final form of a created work that contains spirit: “Alchemically, this face provides understanding of the many beautiful and repulsive states the matter attains throughout the Magnum Opus . . . . [and] brings one to inspect material processes and note the efficiency or lack thereof” (p. 146). Interestingly, the fragmentary Hellenistic text the 36 Airs linked the Moirai to the second face of Virgo. These are the daughters of Necessity, the goddesses of fate: Clotho the spinner of the threads of life, Lachesis the measurer of fateful threads, and Atropos who cuts the threads. These goddesses of fate appearing in this decan points to the importance of centering within the actual currents of life so that choices can be discerned that will allow one to navigate with as optimal a flow as possible. While there is incredible imagination available with the overflow of Pisces influence on the Virgo Full Moon, this visionary capacity needs to be grounded in the truly developing elements of life rather than dissipated through denial of what is actually happening. Through a combination of grounding while simultaneously opening to the full range of possibilities available in the moment, the Virgo Full Moon can facilitate awareness of new choices freed from the limiting thoughts of the past. Wolkstein, Diane and Kramer, Samuel Noah. (1983). Inanna: Queen of Heaven and Earth. Harper & Row.